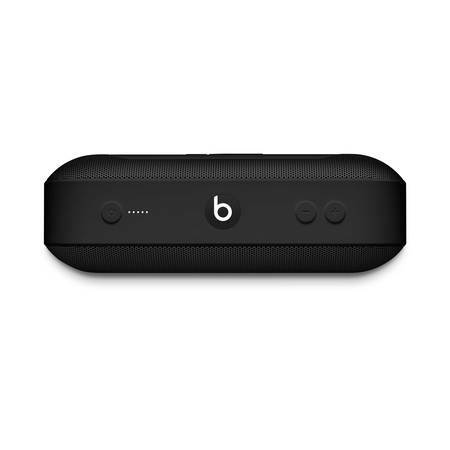 Take your listening experience to new levels with this Beats Pill+ Portable Speaker. It delivers defined, pure sound quality in a portable, compact design. The speaker has as much power as it does definition, and the innovation offers engaging features. Pair and play it with your Bluetooth device or connect it to your phone. The home audio speaker has a 12-hour rechargeable battery and it comes with an adapter and lightning cable. It also has a soft carrying case for easy storage. Donât get me wrong this is a really really good speaker. But there are cons and there are a lot of pros to it as well. The bass fills the room, and gives off as natural. I find if the speaker is placed in a small room (such as a bedroom or kitchen) in a corner it seems to amplify the sound making it fuller. Which is how the bass works in this speaker. It travels through floors, objects, and walls. Though the sound quality can degrade in a large room with a lot of people talking over it resulting in the audio sounding screachy at times. This speaker works really well with many types of music. The only genre that seems âroughâ at high volumes is rock. Though at max volume with most music, I notice a bit of distortion, but the speaker still manages to have clarity. But this is quite common with most portable speakers and is no issue to most. Build quality is top notch. With a metal grill, and a soft touch rubbery grip in the middle, itâs very stylish and modern. I have heard stories of them breaking being dropped, and stories of them surviving. So all I can say is donât drop the beat. Battery life is really really great. I can go a few days without charging or it can last a full day (dependant on use). Overall I definitely reccomend this speaker. It has loud and clear acoustics, awesome battery life, great portability, and good build quality. So whatâs there not to like? I give it a 10/10. The size makes it ideal for any room. Love the product! It can connect, via blue tooth, to my smart tv and I didn't have to add a surround sound system. Blows me away. This functions nicely with the iPhone. Sound is very clear and sound output is good for its size. Great for portable use. Very happy with this speaker. Great sound a excellent product. Highly recommend. This speaker is very nice, great sound. The grandkids are happy! Pill Xl and the Bose sound link 2 were purchased at the same time and to my surprise, the pill Xl out performed the Bose. That's not saying the Bose SL2 wasn't great sounding, it's just that the pill Xl was better at louder volumes and cheaper. The audio is perfect. Great sound. Well worth it. I read the reviews of the old Beats Pill vs this one and they seem to be accurate. Although this is definitely an upgrade from the older version, it can still be more better. The Bass quality is probably like a 2/5 - really bad bass. However, the treble / vocal quality is really good, 4/5 i'd say. Is it worth $200? No. But is it still worth a try, Yes. I'm a hip hop and house music head and if you like bass, this is not the home speaker for you. 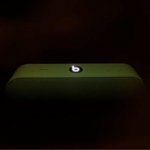 Surprising because Beats by Dre is known for their high quality bass.